Don't have time to cook oatmeal this morning? That's okay. 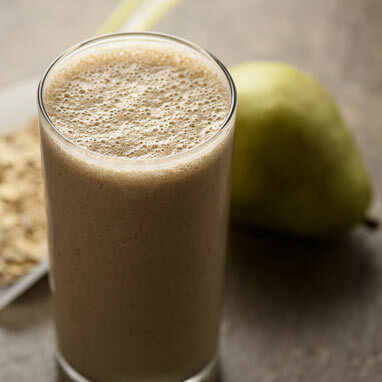 Pears, ginger, and cinnamon complement one another in this smoothie along with a blend of oats, almonds, and yogurt.